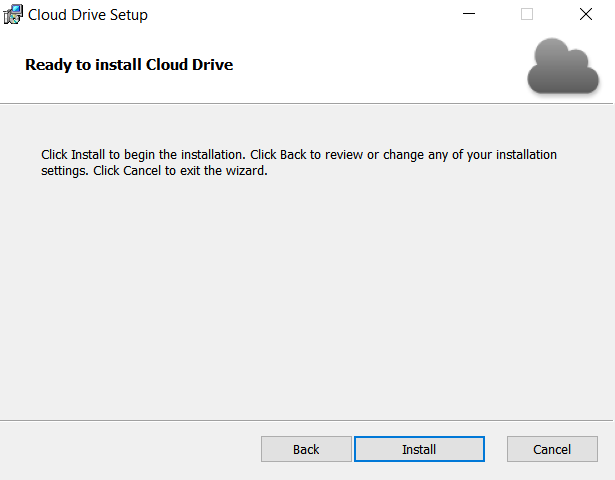 This article will assist you with setting up Cloud Drive on your Windows computer. To download Thexyz Cloud Drive App you must first make sure that your domain has MobileSync enabled. You can then login to Webmail here. 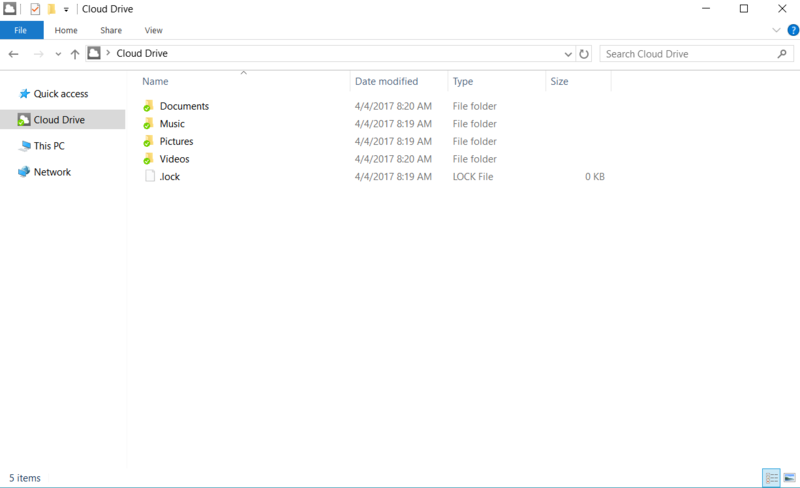 Select **Drive **from the menu at the top navigation menu. Click Install Now to download the Cloud Drive app to your computer. 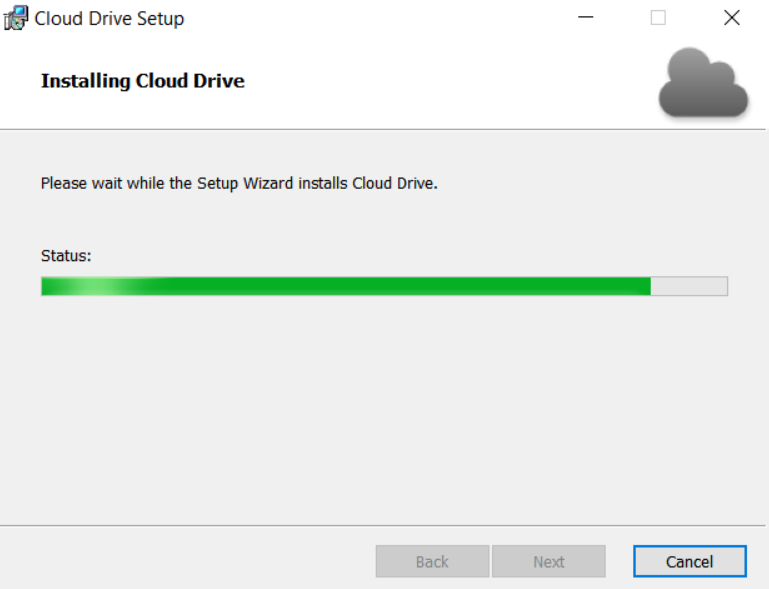 After the download completes, please launch the Cloud Drive installer. You should see the following screen. Select "Next" to advance the installer. Select "Install" to begin the installation. Please read the End-User License. 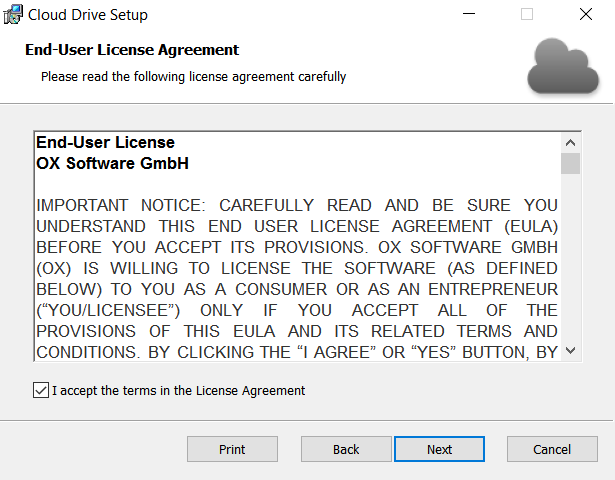 If you accept the terms, select "I accept the terms in the License Agreement". Then select "Next" to advance the installer. 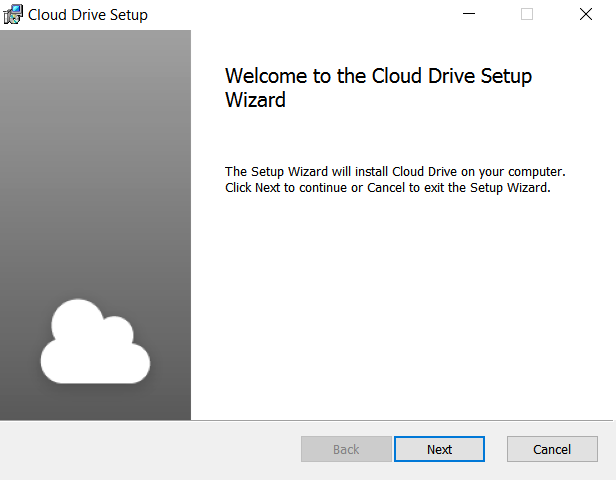 The installer will begin configuring your system with Cloud Drive. "Password": Enter the password you use to access your email. 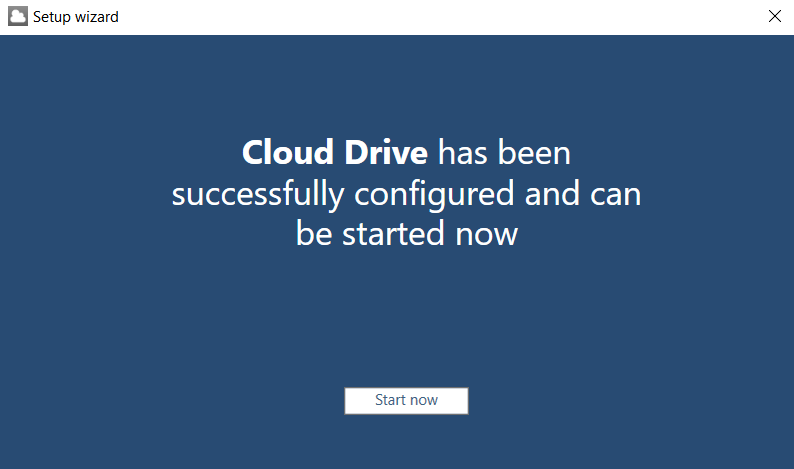 Select "Start now" to launch the Cloud Drive application. 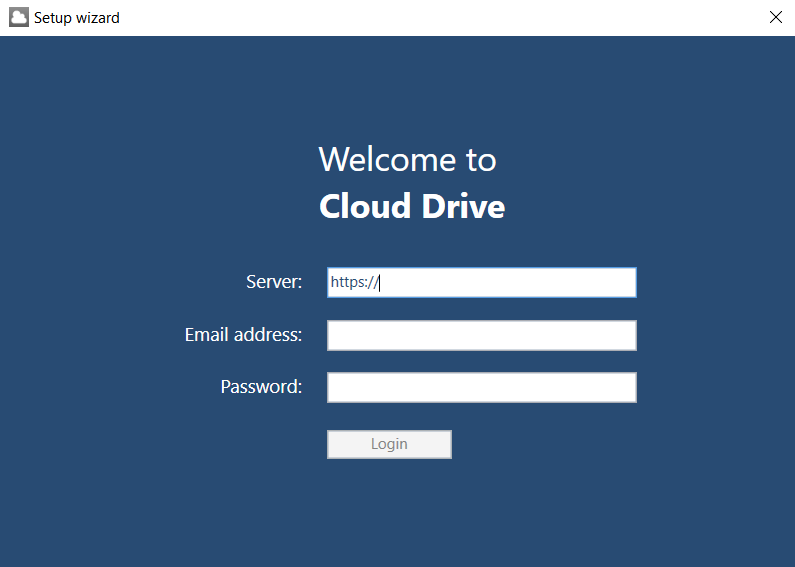 You may access your Cloud Drive anytime by opening a file browser and accessing the Cloud Drive folder. Folders/files with a green checkmark have been successfully synced with the cloud. Alternatively, click the shortcut on your desktop.